Last night, some tidbits leaked out from a new column written by Super Smash Bros. Ultimate director Masahiro Sakurai in the latest issue of Famitsu. 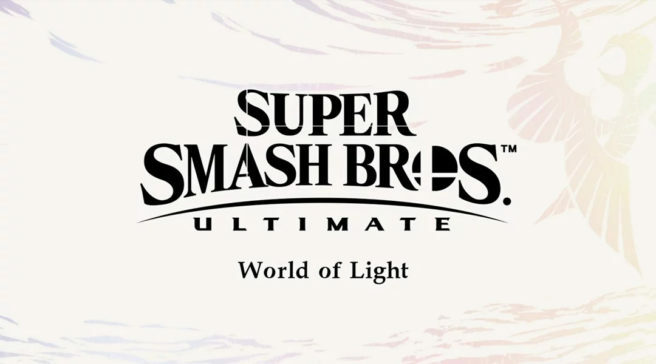 Sakurai spoke about the game’s main theme, Word of Light and why Kirby was the survivor, a launch patch, and more. Though we covered most of this already, we have Sakurai’s full words and a bit of extra clarification. Find our full translation below. This column will be published just before Super Smash Bros. Ultimate’s release. In the meantime, we’ll delve a little more into elements of the game that you already know about! I was actually there when Yoiko recorded their Super Smash Lifestyle special. I enjoy Game Center CX, of course, but I’m really grateful that Yoiko’s Lifestyle picked the game up! The special itself was pretty funny, too. It’ll be broadcast several more times, so please give it a watch. Erina Koga-san sings the main theme; she’s a newcomer to the scene, and at the time of recording she was only 17! Hideki Sakamoto-san, who composed the song, was the one that actually recommended her to me. After hearing her magnificent voice – that sounds well beyond her years – on a contest on TV, I had immediately knew that she was the one. She was a hard worker that practiced a lot, even when she had to sing in a difficult key – I have pretty high hopes for her future! Although Galeem’s attack seemed to have crushed everybody in one fell swoop, the story couldn’t start unless somebody had survived. So why Kirby? People might suspect that I’m a bit biased since I’m the one that created Kirby, but from a planning perspective and through process of elimination, it’s obvious that Kirby would be the only one left. It was necessary to have whoever would escape from Galeem’s attack have a reasonable method of escape that we could actually show on-screen. So, by that logic, that rules out fighters with normal abilities – no exceptions. The characters trying to run could be chased to the stars and still get swallowed up, so any kind of vehicle’s physical speed wouldn’t be enough. Teleporting slightly away wouldn’t be enough either. People tend to forget, but ever since the first game, Kirby’s Warp Star has been able to warp considerable distances, so that was a strong point in favor of him. If any other character besides Kirby were to survive, though, it probably would’ve just been Bayonetta or Palutena. That being said, all of Bayonetta’s enemies in Purgatorio (a separate dimension in which Bayonetta fights against a variety of adversaries) had been turned into Spirits as well, so she couldn’t have escaped there. As for Palutena, she isn’t able to just conveniently manifest any of her abilities; Hades and the other deities had become Spirits, so her defeat was sure. What’s more, Bayonetta and Palutena would also be kind of difficult as first characters; the first character had to be fundamentally easy enough for anybody to play as. Even during Yoiko’s Super Smash Lifestyle presentation, Kirby was the fighter that took home the most votes as to which fighter to use first. Kirby was right on the money, there really were no other options. If You Read It Backwards…? The fact that backwards the Japanese name for “Lifelight” reads “Hoshi no Kabi” is coincidental. It wasn’t that I wanted to write another story about Kirby, he simply just happened to be the first character you can play as. Any time you rescue another fighter though, please feel free to switch among them as you like. When you start up Smash Ultimate for the first time, you’ll receive one Advanced-class sticker. Out of the huge variety of characters that are possible, seeing what you get can be a little bit of fun! There will be an update at launch – the downloadable version will be fine as it is. As for the physical version, please wait for the patch to download, and don’t try to immediately rush into playing the game. This update will protect against replay de-syncing. Now, replays can be kept permanently if they’re converted into a movie format; keep an eye on the file size, though. And that’s it! I hope you’re all looking forward to the game’s release!